I would like to thank Jean at https://socialbridge.wordpress.com/ for tagging me in this challenge. Have you ever wondered how you’d meet your soul mate? In sixth grade I actually believed that I’d be a wife and a mom with two children at the age of twenty-four. I had it all planned out. However, I didn’t meet my husband until I was twenty-six and my second child wasn’t born until I was thirty-four so clearly my plan was overdue! We met while working for the same company. 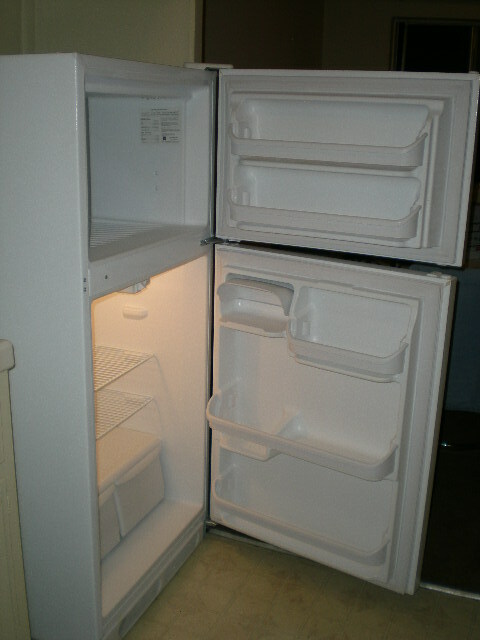 During that time I decided to move and I needed to sell my refrigerator. I placed an ad in the break room and later that night he called me to buy it. I suggested he look at it first so he came over to my apartment the next night, checked it out and bought it! The plan was for him to pick it up the following Saturday. After the frig was all bought and sold, the next weekend he called me while visiting his family for Thanksgiving and as a nice gesture he sent me flowers. Upon his return home he asked me out and I didn’t have to think about it! I felt something I had never felt before, obviously something was happening! The rest is history! We dated for six months, he popped the question and we were married six months later. Here are the rules for the “Five Photos Five Stories” challenge: “Post a photo each day for five consecutive days and attach a story to the photo. It can be fiction or non-fiction, a poem or a short paragraph and each day nominate another blogger for the challenge. My first nomination for the challenge is Irene over at http://positiveboomer.net/. Thanks, Irene, I knew you would since you’re a romantic like me. 🙂 No pressure on posting, just do it if you want and when you can…sending hugs! That’s a sweet story Lauren. A unique connection for sure. I really liked that story, I also like the masthead photo of the Bay Area. I don’t know how many times I’ve flown into there and seen some of the familiar landmarks. My girls did their college work up in the Napa Valley. Thanks, Ian, regarding the story and the header. The photo was taken from the Golden Gate Bridge with San Francisco to your right…That’s great about your girls doing college work in Napa. It’s so beautiful there…It’s definitely a small world in many ways..
That’s a great story, Lauren. I never knew your marriage was the result of a fridge! Great real life story Lauren, who would have considered a cold old fridge could be the beginning of a hot torrid love affair, culminating in 27 years of marriage, lots of romance in that story Lauren, and will surely be handed down in family records. Lauren, what a love story! You certainly didn’t dilly-dally. We were dating for 8 years before we got married! Ah, that heart says it all. The way you met each other has to be the most original meeting of two people. Loved your story. Hugs, dear friend. Be safe and have a wonderful time. Just plain delightful! I would expect nothing less from you, of course, my sweet. 😀 ❤ !!! So wonderful of you to share your experience with us Lauren…beautiful! All it takes is one look…at each other, not the refrigerator of course!! I believe more and more in this day that all things happen for a reason. My wife Andrea began working for the same company as I just two days after I had to rush out of town for my mother’s medical emergency (we nearly lost mom). When I called the office first thing Monday morning to check on things and take care of business, Andrea’s first questions then and for the next week were always about mom’s status…she would NOT discuss business before I assured her mom was rallying! That kind of first encounter (close encounter??) leaves a powerful impression and we, too, were married in our first year together….nearly fifteen years ago. I read your love story with great interest,dear Lauren! Thanks so much, Doda! Hope it made you smile and I hope your wishes come true for us, too! Lots of love coming your way, my friend.. Thanks so much, Maureen. Ours was an unusual meeting but I’m grateful for that silly frig. 🙂 Hugs, my friend, and thanks for following!